The top prize for the Outstanding Utility Model goes to the team from the University of Science and Technology of Southern Philippines. 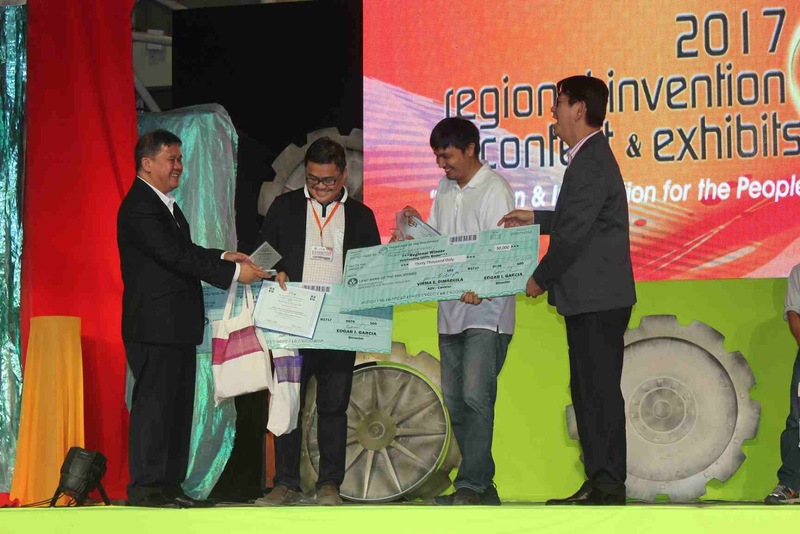 Awards were given to outstanding inventions at Region X by the Department of Science and Technology (DOST) for the Regional Invention Contest and Exhibit (RICE). This was during the Regional Science and Technology Week celebration last September in Cagayan de Oro City. The Dry Grain Picking Apparatus developed by Consorcio S. Namoco, Jr., Juvy T. Cloma, Gerby C. Rabago, and Reginal A. Surbano won the top award in the Outstanding Utility Model category. The team came from the University of Science and Technology of Southern Philippines (USTP). They garnered the top prize of Php30,000.00. Christin Grant O. Bunane, Mike Francis N. Caina and Gerard E. Delfin, also from USTP won the College Sibol Student Creative Research category took the plum with their Air Quality Monitoring and Filtering Device. The prize amounts to Php25,000.00. The winners will represent Region X in the National Invention Contest and Exhibit to be held next year. The utilization of local inventions is given recognition as emphasized by DOST Undersecretary for Regional Operations Brenda Nazareth-Manzano in her keynote speech. “The outputs of our innovators merit our recognition,” “but more than that, these scientific outputs should be utilized by us, the greater public, to help answer our needs wherever suitable” Manzano added.